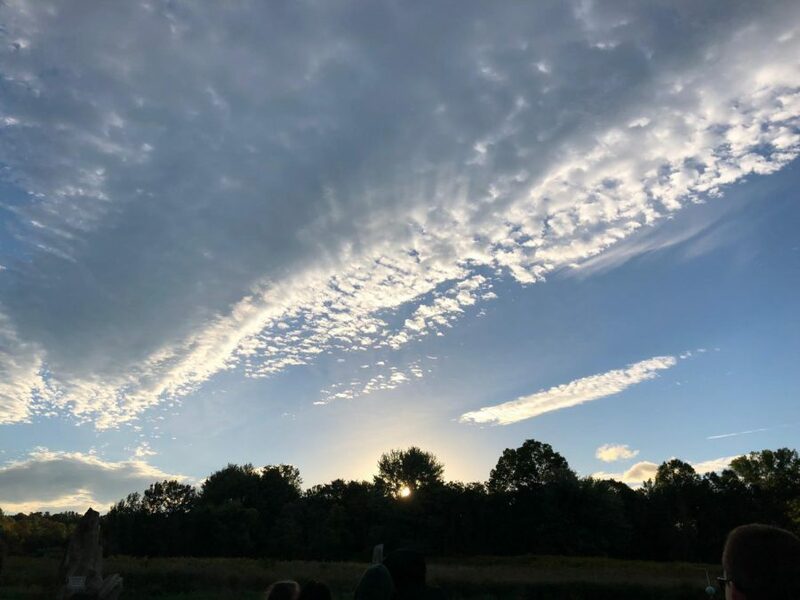 Approximately 15 to 20 astronomy enthusiasts and sky gazers gathered outside the University of Massachusetts Sunwheel at 6:30 a.m. and then again at 6 p.m. to witness what many consider an important yet overlooked event, the first sunrise and sunset of the fall season on Sept. 2. A Sunwheel is a group of standing stones placed in a circle, with each stone representing the location of a certain event. Two stones on the east and west sides of the wheel represent the sunrise and sunset locations of the equinox. 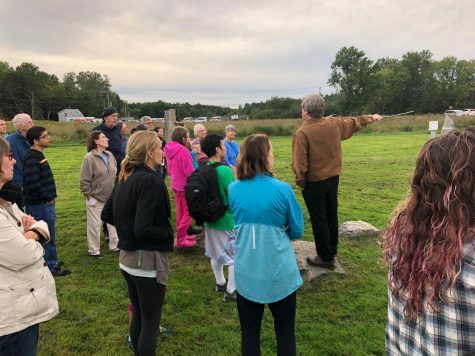 The group was led by Stephen Schneider, a professor of astronomy at UMass, who discussed what many consider an important yet overlooked event. 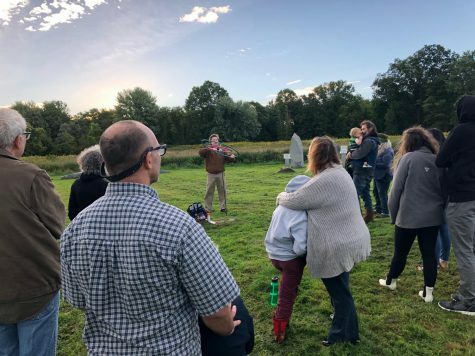 “[The] September equinox represents the moment the sun crosses the earth’s equator, making day and night approximately equal length all over the world,” Schneider said. Equinoxes occur because our planet is constantly spinning on a tilted axis orbiting the sun. The changes in which parts of the planet are facing towards the sun is what gives us our beloved seasons. Aside from the science behind the equinox, Schneider also discussed the historical significance of being mindful of the sun. He referenced countless temples and tribes that lived thousands of years ago and relied exclusively on the position of the sun to help them with some of their most important duties. He referenced Chichen Itza, a Mayan temple alongside the Mexican coast built centuries ago to monitor the sun. During the fall and spring equinoxes, Schneider said, the sun travels through the windows atop the temple and shines directly onto Kukulkan, the mythical feathered serpent of the Mayas, indicating that there was a religious ceremony that the Mayans observed during the annual equinox. Schneider also compared our reliance on the sun in ancient times to today. Our ancestors constantly observed the shifting position of the sun. It was crucial in making calendars, keeping track of time, even predicting when the river would rise or when a certain animal used for hunting would be most available. “Viewing both the sunrise and sunset today was a beautiful experience. I’m thankful that my professor recommend my class to come to the event,” said Rucellie Jimenez, a freshman astronomy and physics double major. The UMass Sunwheel is always open for the public to come and view, relax or perform religious events, among many other activities. On the equinox, the sunrise and sunset are exactly across from one another in the circle. However, as the year progresses and the earth’s tilt gradually adjusts its position relative to the sun, the sunrise and sunset will have slightly different locations. Love how detailed this article is. Gave me insight on things I never knew. Good job! Will days get shorter or longer after the equinox?